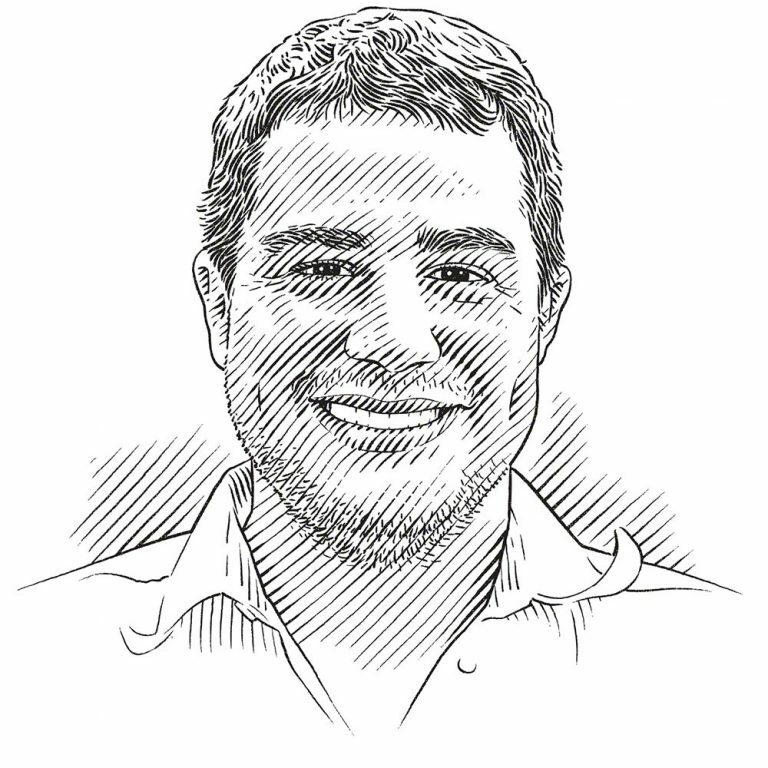 Dr Pelayo Salinas de León has been working as a senior marine scientist for the Charles Darwin Foundation in the Galápagos for the past five years, with the ecology and conservation of sharks and manta rays as one of his major themes. Philippa Ehrlich talked with him about the archipelago’s sharks and the effects of the recent El Niño event. Euan Harvey, Pelayo Salinas de León and Etienne Rastoin prepare for work using stereo BRUVs that are able to measure the size and abundance of animals in the area. What is it like to work in a place that every biologist dreams of? It sounds very stereotypical, but for me that dream actually came true. I am still trying to figure out why, but since I was a kid I wanted to work in the Galápagos for the Charles Darwin Foundation. I had been e-mailing the station since my early university days: after my thesis, before my Masters, after my Masters and after my PhD. I was like a stalker. Eventually, in 2012, the job ad for the position of fisheries ecologist came up and I applied. I was called for an interview and I guess I knew a lot about the Galápagos and the station by then. Anyway, I got the job, and then from there it has been a very steep learning curve. Funding is tight and there are not many of us, so I had to take on a lot of work at once. But you know, when you do something that you are passionate about it becomes kind of easy. Can you describe your shark research specifically? We have done a lot of work on sharks over the years, but for our project funded by the Save Our Seas Foundation (SOSF), which is a collaboration between the Charles Darwin Foundation, Curtin University in Australia and Massey University in New Zealand, we wanted to determine the influence of different factors on shark abundance and diversity and establish a baseline to determine the benefits of the Galápagos marine reserve. This is a 130,000-square-kilometre (50,000-square-mile) area where sharks have been protected since 1998. We chose to use Baited Remote Underwater Video Systems (BRUVs) because they work very well for sharks and they could feed the global initiative to use the same methodology to establish a baseline for shark abundance across the world. We used bottom-water BRUVs to quantify sharks close to the reef and mid-water BRUVs to monitor pelagics. Also, the Galápagos waters are influenced by different currents and, depending on the time of the year, those currents change, resulting in a warm season and a cold season. So, starting in 2015, we sampled twice a year at about 30 sites to see changes across seasons and bio-regions. What made 2015 so remarkable in terms of your BRUVs work? At the end of the second sampling survey that year there was an El Niño event in the Pacific. Under normal conditions, cold water coming from the Antarctic circulates up to the Galápagos during the cold season, but in some years that current changes and rather than flowing in from the south, it comes from the Indo-Pacific in the west. So in an El Niño year, really cold water is replaced by really warm water. What does that mean for the ecosystem? Obviously, during El Niño things change a lot in the Galápagos. Even though we are right on the equator, there are a couple of cold-water masses that bring a lot of nutrients to the surface and that is why the environment is so productive and why we have phenomena like penguins swimming in the tropics and fur seals and other cold-water animals that require a lot of food. During the warm El Niño years that productivity stops, so there is a massive die-off of algae and plankton and the food chain changes completely. A lot of the animals die because they do not get enough to eat. There is massive die-off of marine iguanas and sea lions and penguins. Then, normally after El Niño there is another cycle that is called La Niña, which brings really cold water instead of really warm water. This is good for the ecosystem because it results in high productivity. It is a natural phenomenon, and it has a huge impact. We already have good information about the impact of El Niño on iguanas and sea lions, but we know little about the effect it has on highly mobile species like sharks or pelagic fish. So we asked the SOSF for an extension to the grant so that we could go back in 2016 and thus have data from both El Niño and La Niña. Well, this is preliminary because we have not analysed all the videos, but basically in an El Niño year when the water is warmer, sharks tend to disappear. We believe they migrate to deeper waters. It is possible that they go somewhere else, but El Niño extends across the entire region, not just in the Galápagos, so we believe they just stay in deep waters. That’s why we didn’t see them on dives during our trip to Darwin and Wolf islands in northern Galápagos in December 2015. These islands have an incredible abundance of sharks and December is right at the peak of the season for hammerheads and other species. The conditions were unusual – warm water and excellent visibility, 50 metres (165 feet) or more. This is very useful for the BRUVs, but while the visibility was great, there were hardly any sharks to see. It is too early to say for sure, and we are still trying to quantify it in terms of numbers, but our hypothesis is that the sharks go down to deeper waters rather than migrate to a different area. When sharks disappear like that, does it have a big impact on dive tourism in the Galápagos? Well, this was just a temporary disappearance, but we did some work on the importance of shark tourism in the Galápagos and that research has had a powerful conservation impact. We did it with National Geographic’s Pristine Seas Project in 2015. We partnered with a very good bio-economist and he did an economic evaluation of sharks in the Galápagos. There is a lot of tourism here and the dive industry alone makes about US$15-million a year. We did some quite complex mathematics and quantified the value of a single shark as more than US$5.4-million during its lifetime. That became an important part of our message to the government that further protection was required for sharks. We also had the help of a famous singer, Miguel José, who is very big in South America. In the face of all those factors combined, President Rafael Correa saw the benefit of protecting sharks – indeed, the need to protect them – not only for Ecuador, but for the planet too. So he signed the President’s Decree to make Darwin and Wolf islands a 40,000-square-kilometre (15,500-square-mile) reserve, which we have shown contains the highest shark biomass in the world. Those were happy times for our team. Given the global pressure that natural systems are under worldwide, how do you see the long-term conservation prospects for the Galápagos? Well, it is hard because, like everywhere else on the planet, there is a trade-off between economic development and nature conservation. I believe that Ecuador has done an amazing job so far. I always like to use the example of Hawaii in the USA and the Canary Islands in Spain: two volcanic archipelagos very similar in size to the Galápagos. These places receive millions of visitors, but the natural heritage is pretty much gone. And you know the Galápagos only receives about 200,000 visitors a year. But the Ecuadorian government chooses to keep the Galápagos as close to pristine as possible and it has been doing a great job. Obviously, there are a lot of problems with illegal fishing and the introduction of invasive species, but so far we are in a very good situation. It is a very fragile ecosystem and we need to do our best – and beyond – to make sure that it stays as it is now: probably the best conserved tropical archipelago on the planet.